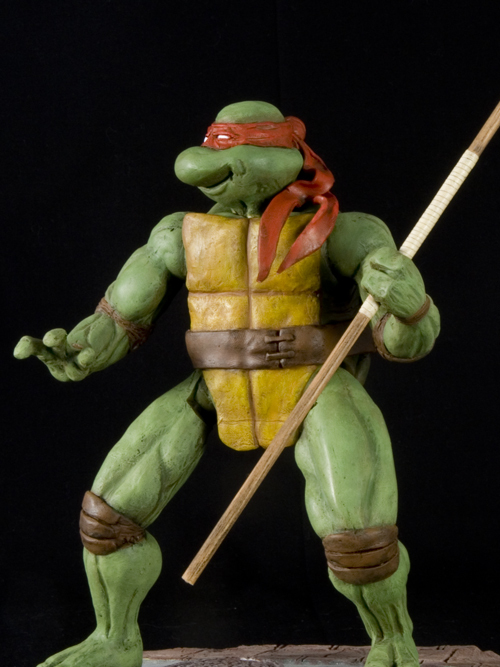 Original Teenage Mutant Ninja Turtle sculpture, featuring Eastman and Laird's Donatello with his trademark bowstaff and red bandana, as seen in the original color comics. Click the thumbnails below for a few shots of the finished sculpture. 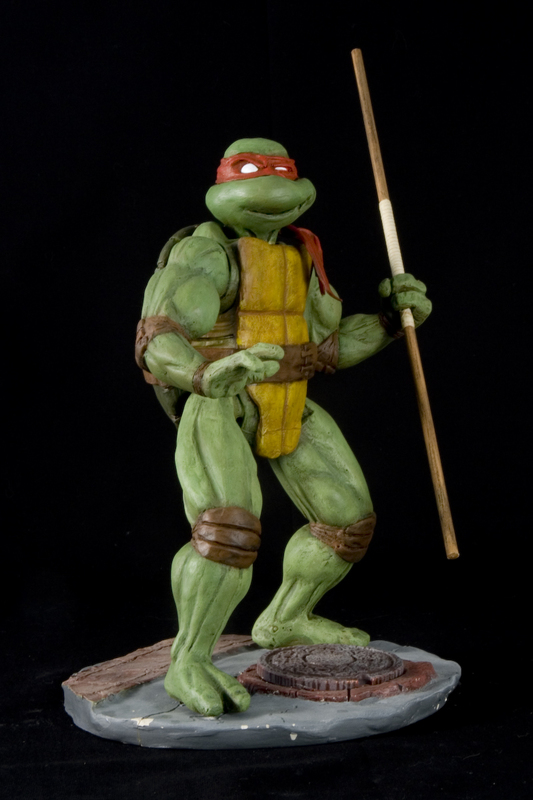 All characters and properties featured are copyright of their respective owners.